Here is something that’s crazy, and yet we completely understand why they did it. 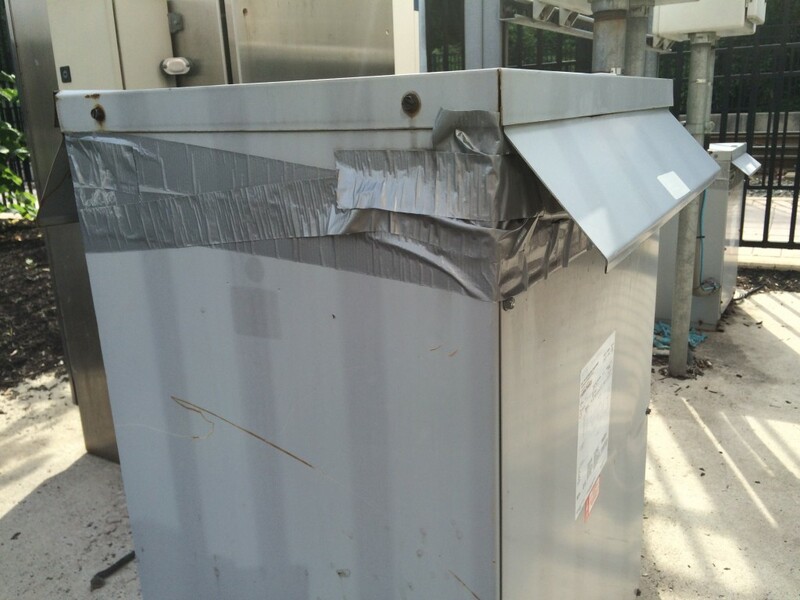 Some evil genius put duct tape around the vents of a NEMA 3R transformer. If this transformer is heavily loaded it runs the risk of overheating, but at least snow cant drift under the vent hoods and cause a fault. I thought this was great, but technically I cant endorse doing this on any project we engineer. 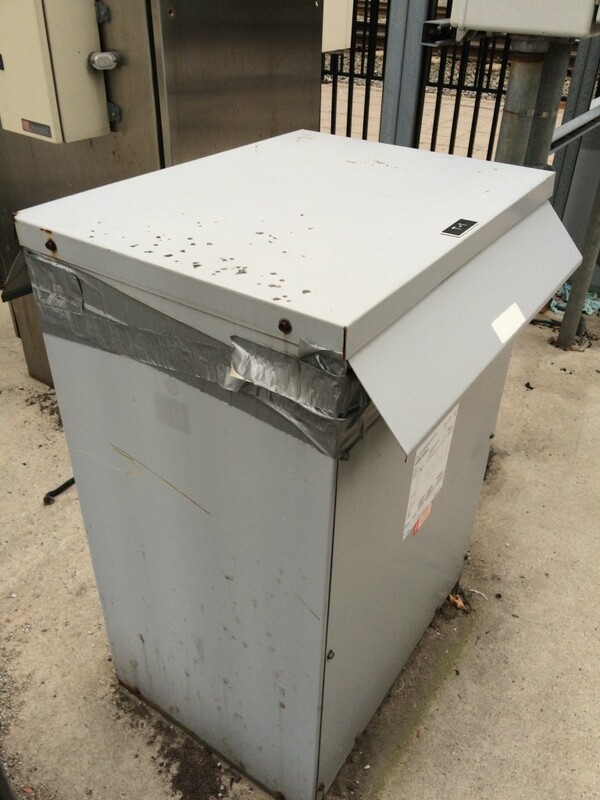 For more info on selecting the correct enclosure rating for an outdoor dry type transformer, see our January 2016 post 480 to 208V transformers – Caution when mounting outdoors.